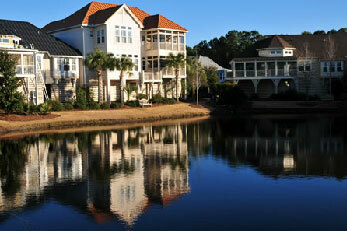 Marais at Seaside Farms is located in beautiful Mt. Pleasant, S.C., just minutes from Isle of Palms. The convenient proximity of this intriguing marsh community offers residents an "atypical architectural design." Marais at Seaside Farms offers a relaxing lifestyle that is unique to residents and the community of Mt. Pleasant. Available upgrades include decks, screened porches, fireplaces, built-in cabinets, granite counter tops, and sunrooms. A grand pool and bathhouse are available for exclusive use of Marais' owners. One of the many intriguing features of the Marais at Seaside Farms development is that each unit has its own personality and charm.